A lawsuit filed in Denver District Court could put on-hold plans to bring California's emissions standards to Colorado. DENVER — A lawsuit filed in Denver District Court could put on-hold plans to bring California's emissions standards to Colorado. The Colorado Automobile Dealers Association (CADA) is suing the state over low emission vehicle standards recently adopted by the Colorado Air Quality Control Commission. The recent standards were adopted following an executive order signed by former Governor John Hickenlooper, which adopted California's stricter emission standards. "We think it's illegal for the state of Colorado Air Quality Control Commission to seed authority for our air quality here," said CADA President and CEO Tim Jackson. "Much tougher standard to meet in Colorado because 75 percent of the vehicles that new car customers buy in our new car stores are pickups and SUVs, where in California it's only 50 percent." Jackson said CADA wants the regulations thrown out, and said consumers are the ones who will pay the price for the push to electric vehicles and more fuel-efficient cars. They estimate it will add more than $2,000 to the sticker price on the average new car. The low vehicle emission standards are set to take effect for light-duty and medium-duty models in 2022. "Manufactures are losing money on them, and they have to offset that by raising the price on the other vehicles," said Jackson. 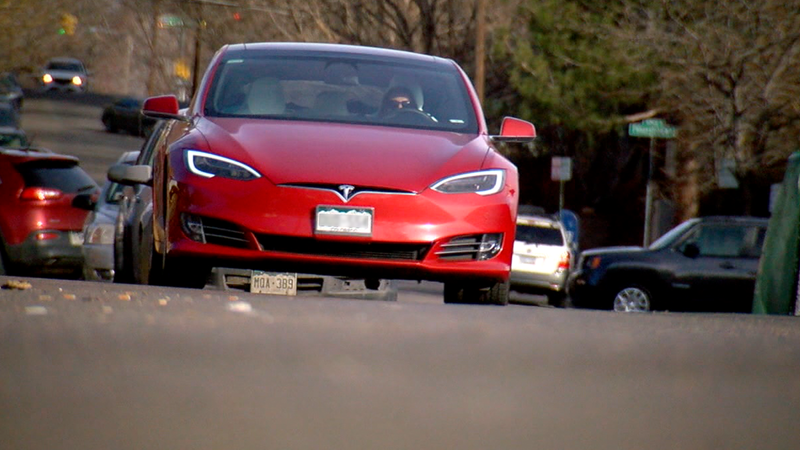 Newly elected Governor Jared Polis wants the state to go even further and ordered the state health department to establish a zero-vehicle emissions program no later than May with his first executive order earlier this month. An order that is likely now in limbo, with CADA's pending litigation. "We think they’re rushing that," said Jackson. "We don't think the government should be telling Colorado consumers what kind of car they should by." Denver7 reached out to the governor's office and the state health department and both said they were unable to comment due to the pending litigation.